The happening is ment for puppies , youngdogs until 18month's members and non members of the club. 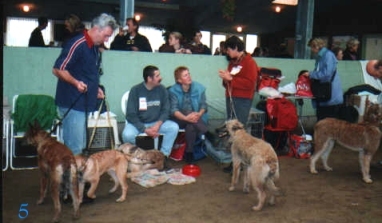 There was a very large attendance, 197 dogs were presented. Among them were 9 Laeken Shepherds. A: 3 until 6 month's,  B:6 until 9 month's, C: 9 until 12 month's and  D: 12 until 18 month's. Best of class 	A: Yio van de Duvetorre. 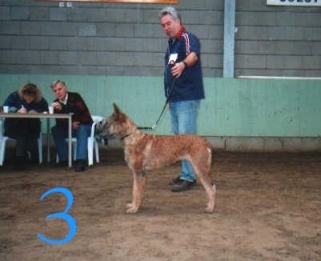 Best Laeken Shepherd was Mc William's Jente. In total of all Variety's she became  3e. 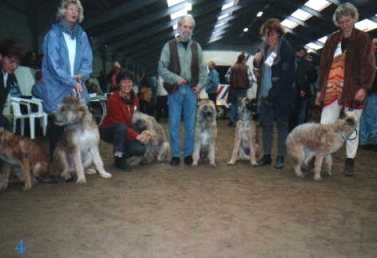 Among the 9 Laeken there were 6 Mc William's dogs. 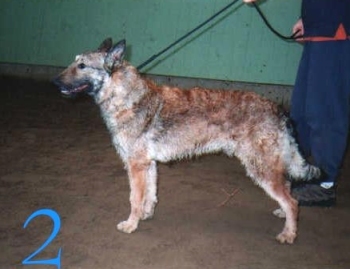 That was because there was a possibility for breeders to get a judgement on a litter. We met lots of people and had a very nice day.